Today’s very special guest is none other than author, speaker and co-founder of the ‘Rich Dad’ company, Kim Kiyosaki!Kim has some important things to say about taking responsibility for our own money… And shares how she and husband Robert Kiyosaki started Rich Dad Poor Dad from a car wash! Are you gonna be working hard for your money all your life or or do you want your money working for you? Wealth is determined by how, if you stop working today how long can you financially survive at your current standard of living? Money can be very controlling so I’m all about women taking charge of their money. I’m all about women taking control of their lives. And now, here’s your host, a lady who had a cockatoo named Fred who escaped and screeched, “Jane, wake up!” all over Dubbo, Jane Slack-Smith. Jane Slack-Smith: True or false? John Hubbard: I reckon that’s true. Jane: It is true. I did have a cockatoo called Fred and he did yell out “Jane, wake up! Wake up! Wake up!” which my mother used to say repetitively every morning but we went away to Sydney from Dubbo one weekend and someone let it out and over the Dubbo radio, there were all these people ringing going, “There’s a cockatoo in my front tree going, ‘Jane, wake up! Wake up! Wake up!’” So, in actual fact, for about 24 hours, Fred became quite famous throughout all of Dubbo as well. So there you go, true story. Jane: No. Not the paper. Jane: I love it. I love cockatoos. Well guys, a very very big welcome to the Your Property Success Podcast Episode 12 and John I think we’ve outdone ourselves this time. We have a huge guest, none other than author, speaker, educator and inspiration to women around the world, Kim Kiyosaki. John: Yes. Huge guest. Kim Kiyosaki author of Rich Woman, It’s Rising Time, co-founder of the Rich Dad Company with Robert Kiyosaki and who also produced the Cashflow board game and of course the famous book that started so many of us Jane, Rich Dad, Poor Dad. Jane: Absolutely, the very first in my library anyhow. It is such an honour and I’m going to be asking her lots of things, you know, how Robert and herself started Rich Dad, Poor Dad from a car wash. Pay attention to that. That’s a story in itself and because not a lot of people know that they are actually self-made people before the book and that the book was actually a by-product of something else entirely. And for the women out there and the men who love them, you really don’t want to miss this one because Kim has a lot to say about taking responsibility for our own financial situation. She talks about how many women marry for money without even knowing it and why women should now take control of their own finances. 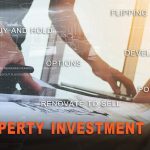 And we also talk about how everybody, men and women, can get started in property investing today. So, settle in for what I’m sure is going to be a fabulous episode with today’s very special guest, Kim Kiyosaki. Jane: Hello Kim and welcome to Your Property Success Podcast. Now, you have had great success both on the investing front and the business front but I want to start a little bit about where you’re from and what preceded all of this success? Kim Kiyosaki: That’s a big question, Jane. First of all, thanks for having me in your program and congratulations, you’re really doing a great service in educating people and that’s of course my whole passion. My background, I mean, I grew up just outside of New York City, moved to Oregon, kept going west and ended up in Hawaii. But I had a love of business. I’m very competitive. I’ve always been competitive, loved sports and I love games. And I remember in college at the University of Hawaii, I went there two of four years, I remember sitting there having to choose a major and I went through the whole list and I’m like, “I don’t know which one I want.” And then, I came up to marketing. And I’m like, “Marketing is a game.” I like games, so I chose marketing and I always have loved business, always have loved business. And so, when I got my first job at a college with an advertising agency, I was in the media department, it was just entry level but my boss and I just did not get along. We just did not hit it off at all and after 9 months, on the same day I quit, she fired me. Jane: Well, that’s convenient isn’t it? Jane: Makes the conversation a lot less emotional. Kim: Yes and she said, “Well, if I fire you, you get two weeks free pay.” I said, “I’m fired.” Done. That was actually probably the best thing that could have happened to me because as a result, I really found out, and I know a lot of women relate to this, I hate being told what to do. I hate it. And I knew I was going to have a problem, so I did have a couple other jobs, mostly sales, but I always knew I wanted my own business. That was the goal. As I look back on what is it at my core, what’s more meaningful to me, and I would ask your listeners to ask yourselves, what is most meaningful to you at your core, not something outside of yourself. A lot of women say, “Oh, my kids are most meaningful.” But, if there were no kids, if there were no husband, if there were no work, what is the most meaningful? And for me, the thing that has been most meaningful to me all my life is freedom. I want to be free and it played out in a lot of different ways. It played out as me being an entrepreneur starting my own business. It played out as wanting to be financially free and not being tied to my work or tied to a husband or a family member. I think so many of us women – one question I would ask your listeners is, what were you taught about money in school? Jane: And a lot of us weren’t taught about money in school. That financial literacy is missing from the education system. Kim: Right, right. Exactly, exactly. And I ask a lot of women what we’re you taught about money and many of us were taught to depend upon somebody else be it a husband, family member, all of that. Kim: Yes. They’re American stats but the trend would be similar in Australia, would be similar in Englan and major countries but the stats are that 50% of marriages today end in divorce and who usually ends up with the children is the woman. And what’s interesting, the first year after a divorce, a woman’s standard of living drops, I think, about 73% while his goes up because she has the kids and she may not have been working in all of this. But, I think the scariest one is of the elderly living in poverty, three out of four are women, but that’s not the scary part. The scary part is 80% those living in poverty, 80% of those women were not poor when their husbands were alive. Jane: That’s a worry isn’t it? Kim: Yeah, which is a great point Jane because a couple’s money supply, their nest egg, they lose an incredible amount during an illness, during an end of life. So, if he passes away, she’s going to have a considerably less, she has no idea what to do with it and Mr and Mrs Helper come along, and say, “Oh, I can help you.” And the next thing you know, she’s broke. Jane: She got nothing. I get those kind of statistics would really empower you to spread the message and help women empower themselves around financial security. But I understand from reading your book that there was a moment when you’re 14 you walked in a conversation with your mother and a friend of hers that kind of changed your opinion. Can you just tell us about that? Kim: Yes. When I was very young, I guess it kinds of goes back to the question of how many women marry for money and I’ll go into that in a minute. The story is I was at my house with my mom and I walked in and they were having a conversation, she and her girlfriend, and they were probably at that time in their 40s or so, and my mom kind of said, “Go into the kitchen, I need to talk to my friend.” And I overheard the conversation and the woman was saying to mom, I can’t believe it. He has been cheating on me for years and I just can’t leave. I’m afraid to leave because I can’t take of myself financially. I don’t have enough money. I don’t have a job. I’m not working. What will I do? He makes all the money and so I’m going to stick it out.” And you could just see her spirit was totally broken. And when I say marry for money, a lot of people think marrying for money is like the woman marries the rich. The young 20-year-old marries the 60-year-old who has got all the money. It goes back to even when you marry, are you marrying somebody because they are a good provider. Even that alone – how many parents say, “Oh, he’ll be such a good provider” meaning he’ll take care you financially. Kim: Yup. I’ve done the same thing. Yes. Or looking for a rich man and there are websites looking to find a rich man, da-da-da. Yes. Jane: So, I guess that kind of turning point for you to decide that you want to secure your own financial freedom and then you knew, obviously, going to university in Hawaii sounds like a wonderful experience. Kim: Yeah. I was very serious about my studies. Jane: I can understand you would select that area and having that first job. But you decided you wanted to have a business and that’s how you decided that you wanted to secure your own financial security. Can you take us through what happened then when you have made that decision. Kim: Yeah, that’s a great question Jane. And by the way, one of the thing I have been fortunate enough to do was to come to your country, Australia, many many many times and if things get too crazy here in the U.S., I’m moving to Australia. Jane: You’re welcome. Come to Melbourne. There’s always a spare room. Jane: A lot of courting went on. Kim: Yes. Our very very very first date, he asked what I wanted to do with my life. And I was 27 at that time and I said I want my own business and I was just about to move to New York City. I was planning on leaving Hawaii, moving to New York City, I was going to start over there and I said, “Well, I really want my own business but I just don’t know where to start. I’m just kind of getting my toe in the water.” And he said, “Well, I’ve started many and all of my friends are entrepreneurs.” And I’m like, “Oh, okay. Well then I’m going to put that plan on hold because I’m going to learn how to be an entrepreneur.” And so, it was about four months later, I had my first business. It was a very simple business. It was design a logo and so I had it sewn on shirts and sweaters and jackets and I went around to all these business conferences. I rented a booth and sold them at these business conferences so that it paid for my airfare and my tuition to these courses so I could learn business. Kim: I kind of paid for my education through my first business. Jane: Oh that’s good, so you had a plan. Kim: Yeah. I had a plan, yes. And I knew that that was going to last so long and then Robert and I got together and decided to create a new business together and we’ve created many businesses since. And of course the most successful being the Rich Dad Company which is doing really – as a matter of fact, were celebrating our 20th anniversary in April of the company. Jane: That is extraordinary. Congratulations. Kim: Australia has been so good to us and they have so embraced the message, so embraced the education so we have a lot of thanks to give to your country. Jane: Well, I have to say personally, and I know a lot of our listeners have a lot of thanks to that franchise, that Rich Dad, Poor Dad Company because it has changed lives and a lot of people are very interested about this conversation. Now look, can you tell us about those early days of starting that business and some of the philosophy behind what you’re trying to do in that business and the learning you took from Robert and the entrepreneurs that he was hanging out with. Kim: Yup. Nothing gets done. Right, right. Jane: So, sharing that position that people have in in the plans is really important. Kim: Yeah, including them in the process, letting them see the whole picture. And the purpose of that business, I believe every business has a purpose and the purpose of that business was really to teach me about business. And so, for the Rich Dad Company as I said earlier, what has school taught you about money, the purpose for Rich Dad Company was because there is no financial education and the purpose of most businesses to me is to solve a problem. So, the problem we went to solve was how to bring financial education to the masses. We had no idea Rich Dad, Poor Dad would the huge success it has become. We’re very very fortunate. We’re very grateful that it has taken off and hit a cord as such as it did. Kim: That’s okay. Yes. A lot of people don’t know that the Cashflow board game was the very first product that we created. Jane: So, you created that before Robert wrote the book Rich Dad, Poor Dad. Jane: So, you did that marketing afterwards. Jane; Well at least we had a marketer on board. Kim: We had one launch date and we had a seminar set up in Singapore where 500 people were going to play the game. That was our launch and then we were going to start marketing it from there. But we’re like, “We need a brochure.” We really need a brochure to get this game out there, so Robert starts working on this brochure and months later, the book Rich Dad, Poor Dad was born. That was the brochure. Jane: Ah, there you go. So, the book actually came from the marketing material for the Cashflow game. Kim: That’s exactly it, that’s exactly it. So the board game, it’s funny. Of all these years, 20 years, all the products that we’ve had, Rich Dad, Poor Dad and the Cashflow board game are still our two best-selling products. Jane: That’s amazing. And with the Rich Dad, Poor Dad the book, it wasn’t something that he was planning on writing but I gather from what I’m seeing that you didn’t have a marketing plan for that too. You’ve printed a thousand and put them in a car wash.
Jane: I had a friend with car wash, would you like a car wash and a book with that? Kim: And so, the network marketing industry gave us a huge kickstart. They are grassroots. The message of passive income and residual income totally resonated with them and they are also – a lot of network marketing, not all of them – but a lot of the network marketing companies are really about educating people and teaching people and growing the person not just having them go out there and sell something but really growing the person which is what we’re all about. So, that’s how Rich Dad, Poor Dad got its start. Jane: So how many copies of rich and poor did it Amway end up buying? Kim: Oh, hundreds of thousands. I mean, to date – worldwide to date, thanks to Australia we’re probably at about 35 million copies worldwide. Jane: 35 million copies. That’s extraordinary. Kim: Yeah. And like I said, we’re really fortunate. We’re really grateful for every one of those customers. Jane: So you had a business together around educating entrepreneurs. And you sold that and essentially became cash flow independent secure and Rich Dad, Poor Dad didn’t come along until after. Kim: Right. Yes. That’s exactly right Jane and it’s funny because when I talk about marrying for money people say to me, “Oh, how wealthy was Robert when you met him?” And I’m like, ”Wealthy?” I said, “He was about three quarters of a million in the whole in between businesses.” He had a business go bad and so we were working our way out of that. Jane: Could we say that Kim actually paid for the first date because Robert couldn’t afford it then. Kim: No, I’m not going to say that. He looked really good. He lived in the best condo building on the beach, has a little Mercedes, we had champagne and it was lovely. But yeah, he was a little different than I thought. 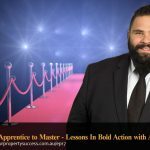 We had the idea, and this came from Robert’s rich dad who had taught him about basically how to create cash flow from property and he had done this earlier a little bit. He had a couple of properties in Hawaii that he had since sold and he started explaining it to me. The business was just at that point where it was just starting to make a little bit of money, not much, but a little bit of money. And he goes, “Go try this.” I’m like, “What? I don’t know what you’re talking about.” So, I stumbled and bumbled along and I started just like you did Jane with a little single family house. At the time it was only $5,000 down. It was forty $45,000 total which I think was your down payment, right? Kim: On your house – yeah. I read about you. Jane: Yup. And your whole house is worth $45,000 my goodness. Kim: The whole house was $45,000. Jane: So, when was this? Kim: This was 1989. This was my very first investment property and after paying the rent and collecting they’re paying the mortgage and paying the expenses and collecting the rent, at the end, I had $25 a month that went in my pocket. Jane: So, you felt fantastic. Kim: And that’s how I started. Just like you, it’s how I started. And so we kept doing this and doing this and doing this. And finally we got to the point where we were financially free. And when I say financially free people think, “Oh, you must have had millions and millions of dollars.” No. All we had very simply was $10,000 a month coming in every month from our rental properties and our living expenses were only $3,000. We lived in a very nice resort but we had put all of our money into our business and all of our money into our real estate because we wanted – we did want the big house but we wanted the investment properties to pay for it. Jane: And you were happy to have that delay gratification that a lot of people don’t want. They concentrate more on the big house first. Jane: I was just going to say, so tell me about that first investment property. How did you build your investing strategy? Kim: No. I was scared to death. I was terrified. I wanted to find every reason why not to buy that house because we didn’t have $5,000. I mean, the way we came up with it, we were pretty creative and we actually had a little bit of money. We had we had maybe $2,000 in the bank in our savings but we didn’t have the rest of it. So, what we did is we made up a product and we pre-sold it. And so, we got the sales ahead of time and as we sold it, we delivered it. And that’s how we did it. But, no I was scared to death because I was so afraid. I didn’t have the experience. I was so afraid of making a mistake. I was afraid of looking stupid. I was afraid of losing money. I had all that stuff going on and I was terrified. I think it just came down to making the decision. At some point, you need to make the decision and cross the line or not. Jane: And just do it anyhow. Kim: And just do it. Yeah. So, I think that fear I was going to ask you, I think that fear is very common for first time investors. Jane: Absolutely. And even subsequent investors I think. You’ve obviously done a lot of deals but there’s always that moment of signing when you’re thinking the buyer’s remorse, “Have I done all the research…” So, I don’t think you lose it do you? Kim: Yeah. No you don’t. With time and experience, it lessens more and more and more and you get pretty comfortable with what you’re doing. But you never know what the market’s going to do. You never know what surprises around the corner but you just do your best to – I think the more education goes up, experience goes up, risk comes down. Jane: And tell me, with $25 dollars a month, what was your goal at that point where you had expenses of $3,000 a month was it just to cover those? Kim: The goal was always to have more money coming in every month than was going out because what was beautiful about Jane is that at that point when we had $10,000 coming in $3,000 going out on living expenses, it was the first time, I think both of us, I’ll just speak for myself, It was the first time I felt that I could really ask myself, “What is that I really want to do with my life now?” Before, I mean, the company before that was still very mission-based. We never set out to do a business with the goal of making money. We want to make money, but that was never the driving purpose of it. Does that make sense? Jane: Yup, yup. So, the mission was actually delivering the experience for the client. Kim: Yes, yes, yes. So, the business before where we taught entrepreneurship, that came before the money, but that became successful and then made money from that. Jane: Which really goes to your point of finding out what you desire and what your passion is and what your personal mission is because if you connect with that, success will come. Kim: Yes. And I think especially for women because we are so drawn in so many different directions, we have so many different roles, business woman, mother, wife, daughter, caretaker all the different roles that we have that a lot of women, they lose track of what is most meaningful to them and once they can tap into that – and as a matter of fact I’m working with my girlfriends right now, they’re all entrepreneurs. There are four of us. Nobody knows this yet. You’re going to be the first. Jane: World first, world first. Here we go. Announcement. Kim: Yes so the four of us are working on delivering – I think it will probably be a process so that people can discover and tap into what’s most meaningful because once you tap into that, then everything is guided by that it becomes so much easier, decisions become easier, your path becomes easier. Your values are why you do things become easier. So, that’s what we’re working on right now. 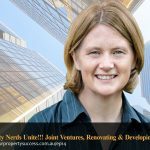 Jane: I guess that connection of knowing what you want to do and how you want to do it, you obviously got to the point with the income from your rental properties coming in outweighing what your costs were, was that the end of it for you or did you go, “Oh, I love this…” Did your property investing stopped? Has it changed? Kim: Oh I love it. I still love it. I’m doing it right now. I am working with a property right now. I love it. I do I love it. And the way the business came about, Rich Dad, Poor Dad was simply because we were financially free and people kept asking us, “How did you do it? How did you do it?” And we’re like, “Well, we could travel all over the world and tell them or we could put it into something that they can teach each other.” So, that’s how the board game came about. We wanted people to be able to teach themselves and teach each other basically everything on our board game we’ve done, on there. I mean, there’s a Russian oil deal that went bad. That was a disaster. Jane: Okay, we weren’t asked about the Russian oil deal. Kim: So, that was the purpose is because there wasn’t the financial education available. How could we deliver it in a fun and easy way? Jane: Now for those – you’ve got 35 million Rich Dad, Poor Dad books out there obviously, there might be one or two people who haven’t read it who could be listening to this. Jane: Absolutely. And look, it had a huge influence on me. I was on a holiday in New Zealand sitting under a tree reading it and there was a statement that said, “Does your money work for you or you work for your money?” And at the age of 28, that just changed my life and this is why I’m here and doing what I’m doing today. Jane: Did But the key message is for those people who haven’t read the book, could you just give us a quick overview of what they are? Kim: Yeah. Well, you touched on it right there. Are you going to be working hard for your money all your life or do you want your money working hard for you? And I think one of the eye opening pieces of Rich Dad, Poor Dad is the definition of asset vs. liability. And this goes back to what we’re taught. What we’re taught about money to me is not – I mean, I shouldn’t say all of it. A lot of what we’re taught is the opposite. So, asset – So, you could say, “Oh, your ring is an asset” or “Oh, your watch is an asset.” Well, no, not unless you sell it, right? So, we’re taught that we have this great net worth in all these assets. But I think one of the key pieces is when Robert defined assets –or actually came from his rich dad is, an asset that puts something in your pocket whether you work or not and liability is something that takes money from your pocket whether you work or not. So, your residence, your personal residence, even if it’s paid off, even if your mortgage is paid off, you still have taxes, insurance, upkeep to keep it going. So, it’s taking money out of your pocket every month. Jane: And that message hasn’t changed over time. Kim: No. Not at all, not at all. And I like to ask people and this sometimes disturbs them and it should disturb them depending on what your answer is, but we have a thing called your wealth number. How wealthy are you? Jane: I have to calculate that. Kim: Wealth is determined by how – if you stopped working today, how long could you financially survive at your current standard of living? That’s the key – at your current standard of living. So, it’s not that you’re going to move out of your house and move into a tent. You’re not going to give up your car and start walking everywhere – at your current standard of living. So, let’s say, for example, you have $100,000 dollars in savings and stocks that you could cash in tomorrow, and your living expenses are $5,000 a month. You take $100,000 thousand dollars of cash that you have divided by your monthly expenses of $5,000 and that gives you 20 months. So, you have 20 months you’re going to survive. Jane: So you’re 20 months wealthy. Kim: 20 months wealthy, exactly, exactly. So, the goal is to be infinitely wealthy, that you always have more money coming in every month than going out. And so, I’ve done this with women and groups of women and some of them start crying because they realize they can’t make it through half a month. They’ve got nothing. And unfortunately a lot of people because of bad financial advice or bad financial education from wherever they’re getting it, usually stockbrokers or bankers, or people that want to make money off of you, they’re finding themselves in horrific situations. So, I know in the U.S. right now our unemployment rate is very very low and people have nothing. I think the stat is like 64% of Americans couldn’t even come up with an extra $400 to fix a car today. Jane: Gosh. That’s it’s a worry. Kim: And that’s that to me is the lack of financial education that we need to combat. Jane: Okay. And with that, I guess, that lack of financial education, how do people get to the point of creating that income for themselves? You’ve used property, obviously, there’s a couple of other techniques I imagine. Jane: And have the magic answer. Kim: There’s no magic answer. You got do your homework, you got to put in the research, you got to put in the time, you got to practice. You’ve got to take little steps and practice, practice, practice. 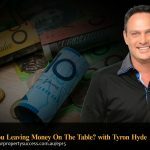 Jane: So, those deals that you’re doing now, you’re your property investing deals, the ones you’re excited about maybe you might share a little bit, but have they changed? You started single front, little residential house, are you doing the multimillion dollar commercial deals of property? Kim: Yeah. It’s what I’m working right now. That is what I’m working on right now. Jane: Ah, so it has changed. Kim: Yeah. Well, the formula is the same though. It’s still cash flow. It’s definitely cash flow. As a matter of fact, this is interesting because on the board game, we’re often making the decision of do I sell the property and get the capital gains or do I keep the cash flow? So, right now, we have a commercial property, one of our best performing assets and we have an opportunity to sell it for a lot of money or to find a new tenant and cash flow. And I’m still to this day, I’m still looking for the cash flow. I mean, you know it’s very tempting to buy – but even then if you buy it or I mean, if you sell it you still have all that cash, and unless you put it into another property which is getting more and more – I’m not going to say difficult but it’s a lot more sophisticated today because there are so many more players in the market in apartments and in the cash flowing property market. So, I love this property and I think I’m going to keep looking for that better – it’s got a tenant right now, we’ve got a couple of years. But I think I’m going to look for that really strong tenant and keep that cash flow going. And the only – maybe the only addition to when we started is we have a lot of apartment buildings, like, 200 to 400 unit apartment buildings. And now the formula we’ve taken it was one step more. We find a property. Another part of our formula is finding problem properties. We like properties with problems that we can fix. So, a lot of people, they don’t like the problems. They don’t want a run down building that they have to put time and money into. Jane: They don’t see opportunity. Kim: Exactly. There’s a lot of opportunity. So, now the formula is to find those properties, fix them up, get them fully rented, so the value of the property goes up tremendously because the value of the property is directly proportional to your rents. You raise the rent, you get it filled 100% then you go back to the bank and say Mr. Banker/Ms Banker, this property is now worth this much more and then we borrow out the money that we had put into it and we still have a debt on the property, but we have borrowed out all the money that we invested into the property. So, we have that money which we put into another property. We still have the property and we still have the cash flow. Jane: And am I correct in assuming that you are buying those large buildings based on the current rent. So, it’s the actual value of the property is actually based on rent, very similar to commercial properties as opposed to buying a property just because of the market value, it’s a little bit different. And then, you improve it, increase the rent and therefore the value goes up. Jane: If all the bathrooms are renovated and we made the facade lovely, you should be paying an extra million dollars. Jane: It’s very similar to how people look at their own home and value their own home isn’t it? Everyone over values their own home when we look at that as an asset but the reality is the market doesn’t seem to fair that. Kim: If you have bought a house for yourself, you can buy a rental property. You just pay a little more attention to the numbers and then the numbers are very simple – how much rent, how much expenses, how much mortgage, and at the bottom, is there anything left over? It’s that simple. It’s not rocket science. It’s just getting out there just keep looking at properties, being on the phone, making the phone calls. It’s not rocket science. That’s why I like real estate. I don’t like the tech world. It’s too fast. I don’t understand it and it changes every minute. Kim: Real estate is slow. I can touch it. I can feel it. I can talk to my tenants. Jane: I hope you’re not talking to the whole 400 of them or how many tenants you have. How many people would you house these days Kim? Kim: I’m guessing we probably have about – good question. I don’t know, 9000-10,000 units. Jane: 10000 units. That’s incredible. And that’s all cash flow. But it started with a little two-bedroom, one-bath house. And if I can say anything to your listeners, it’s to just get started because that’s how I started and then you get a little smarter. All you do is just – I just took baby steps, one single family, then a few more single family, then a then a six-plex, then a 12-plex and this slowly but slowly and the more experience and the more knowledge you have, then the more – hopefully you make good choices and that keeps increasing. Jane: It’s an interesting point about choices. When do you sell? You just talked about your dilemma now about this offer but when do you sell? Kim: That’s a great question. We rarely sell. Jane: What would tip the point for you? Jane: The sell went through. Kim: –selling through and now we have a really nice property as a result of that. Jane: And what happened to that property in Phoenix? Kim: It’s still there. It’s still there. It’s being run, operated. I still see it. It looks pretty much the same as it did when we sold it. Jane: Well, Kim you have been an incredible inspiration and mentor to women all over the world and in Australia. If I turn to your books, in 2006 you wrote a Rich Woman and then in 2011 It’s Rising Time. I’m just interested, if we turn to those books, the key messages that you would like to impart to women from those books, if you wouldn’t mind sharing those with us. Kim: That’s easy. As I said, I have always been about freedom and I think for women, so many of us get – money can free money can enslave us. Relationships can free us or enslave us. And I’m all about women being free to be in relationship, out a relationship, however they want it, but to be free to do what it is they want, to be free to follow their path, their purpose. Maybe the better word is self-worth, to grow that self-worth because I see too many women and money has plays a big role in that sometimes because if she is not the primary breadwinner or if she is home with the kids and not making money, money can be very controlling and it can be very manipulative. So, I’m all about women taking charge of their money, learning – I mean, I really am today, if you’re a single mom or if you’re a married mom, online business, you could start an online business. There is so much you could do. I’m all about women taking control of their lives is what it is and I think it has to happen financially. Jane: So what you’re saying is they don’t need to go out and get a job and leave the family. It’s about trying to find other ways of making that cash flow business work for them. Kim: Yeah, absolutely. Yes, absolutely. I have a girlfriend. She has two young kids. She and her husband started a business together. She works from home. The kids are there. The kids actually get involved in the business which is very cool because she wants to include them and wants them to learn about business. I think the doors are wide open now for women even if you’re in a full time job and I know this sounds like, “I never have time. I never have time.” But if you can even start a part time business and start making money outside of the job not being so dependent upon the boss because jobs today, they can they can disappear like that. So, the only way I’ve found to be really in control of my life is to have my own business and be in charge of my money and have that money working for me. Kim: I just want things that I can be in control of. I’m in control of my business. I’m not dependent on rule changes. If the government makes a rule and changes, that’s okay. I can figure that out. In my properties, I’m control of the income and the expenses. I’m not at the mercy or anybody else and especially I would say this for your listeners, you work so hard for your money, no matter however you earned it, you worked so hard for it, I cannot understand why people will then take their hard-earned money and turn it blindly over to someone else to take care of for them. Nobody’s going to look after your money like you. If there’s one thing that you can do today, start taking charge, find out what you’ve got, where it is, get it together, ask a lot of questions if you do have people that are financial advisers, ask a lot of questions, but I’m all about being in charge of my money and not depending on somebody else to handle it for me. Jane: Oh, great advice. And I think asking the dumb questions, not being scared of trying to tell people you don’t know. Jane: Women are sometimes a little bit better at doing that too aren’t they? Not having an ego. Jane: Some women aren’t, some aren’t. Kim: Some women have big egos but typically men have a little more ego. I think men sometimes think they’re supposed to know more about money than we are. Jane: Traditionally, I guess that’s where our society has come from. That has spread into a lot of family men in particular their role is to look after the family, so we’re not dishing that. It’s a noble role. Kim: It’s a tricky subject sometimes if you’re talking to, let’s say, your husband or a father and you want to start asking questions about the money and they’ve been managing the money. It’s like sometimes walking on egg shells because they get threatened because they think they’re supposed to know. A lot of women I talk to is they’ll say to their spouse or their family, it’s like, “What happens if you left? What happens if you died? Wouldn’t you want me to know what we have and where it is and wouldn’t you want me to be responsible and take ownership of that money because otherwise I’m going to be (?) at the effect of Jill, Bob, and Mary.” Sometimes you got to have that discussion. Jane: That tough discussion. It’s not about doing wrong with the money, it’s just like I want to understand more. Kim: Yes. You’re not accusing them of anything. You just need to understand and learn it. Kim: Right. I remember that movie. Jane: I’m glad you had that moment because it has made a lot better for other people around the world for what you and Robert have you done. And just a follow-up question on that first book you wrote – It’s Rising Time, so you were motivated to write that next book. Now in that, you talk about the Triple A Triangle in the book It’s Rising Time, can you tell us a bit about that. Kim: Yes. It’s actually one of the main reasons I wrote It’s Rising Time because Rich Woman was written as a wakeup call to women to say, “Hey, don’t find yourself in a financial crisis. Start taking charge now. Start understanding where your money is. That was the wakeup call with the statistics and all of that because as I said, too many women find themselves, especially later in life, in a financial disaster. What I found is after the book, I would see a lot of women who would get excited about the message and they’d want to go do something but they never could take that first step. They never took that action step or they take a little bit of action and then they quit. So, the Triple A Triangle is a three-step process and the first step is aspire. Aspire is what is it you want? What’s the goal? What’s the dream because if you don’t have a big enough goal or a big enough dream, when things get hard, you’re going to quit. But there’s got to be something, I call it my “why” and I talk about it in Rich Woman as the why, “Why are you doing this?” What’s the real reason you want financial freedom? What’s the real reason you want to have your own business? What at your core is it that you want? That is the aspire piece. And then, once you figure out that’s the big goal, that’s my dream, then you go to acquire. Acquire is the second step and acquire is finding the information necessary to help you get to that dream and that goal – doing seminars, reading books, talking to people, doing all your research, going online, attending talks, doing anything possible to acquire that information. Jane: And a lot of people stop there though don’t they? Kim: That’s the problem. It’s exactly the problem and I see it way too often and that has kind been my mission since I wrote It’s Rising Time is how do you get women or anybody, men and women, how do you get them to take that action step? So, the third step is apply, which is putting what you’ve learned into practice and the definition of intelligence that I like is two-step. First step is to acquire the knowledge necessary and step number two is apply the knowledge acquired. That’s intelligence. And so, the only thing I’ve come up with recently in terms of how to get people to start taking action is number one, you do it in little tiny steps and I’ve talked about this in my book. You take little tiny steps and they can be the smallest steps but every week take steps no matter how little even every day towards that goal— if I just made a phone call, if I just wrote an email— something. But the thing that’s going to really make a difference is practice. You got to practice, practice, practice. What I do now is if I read something in a book, I might read like a paragraph and then I’ll practice that all day. It might be like, let’s say, I’m reading a spiritual book and it says to always be grateful, so all day I’m going to practice always be grateful. I’ll just practice it. And then the next day, I’ll practice it again but any time you want to really implement something, there’s no shortcut than to practice. If it’s to start your own business, just start practicing. Go online and start making offers or start testing things. The thing about the internet, you can test anything. Kim: So, that apply piece is really the whole gist (?) of It’s Rising Time, is to get women to start putting it into practice and apply what they learn because if you don’t apply, you’re never get to the dream of aspire. Jane: Absolutely. Now, for someone starting out today with property, what advice would you give them about those first baby steps? Kim: Easy. Simple. First of all, just go drive around your neighbourhood. I always said I want property that’s close to home because I want to be able to see what’s going on. I want my finger on the pulse of the market. I want to see what’s selling, who’s moving in, who’s moving out. It’s not always possible for people, so for example, if you live in Manhattan, New York, the real estate there is very very expensive, so you might have to go outside the city, okay. But stay as close to where you live as possible, so that if a problem happens, you can get there quickly and it doesn’t have to be very expensive. So, you could go around your neighbourhood, you can even talk to people in their yards. It’s amazing how much information you’ll get from people just by saying “hello.” Who lives here? We’re thinking of buying, what do you think of the neighbourhood… da-da-da. Go online, look at what’s for sale. I love and I still do this today, I did it the other day. It was funny. I love to just get in the car and drive around and look at properties. Go to the different neighbourhoods. Some neighbourhoods are very rental friendly, some are not. Some are pure, they want home ownership and the people that live there want their people to own not rent. So, find out the places and then do your homework. I like to get what I call (?) “proformers.” But basically, whenever possible, if I see something I’m interested in, I might call a broker and say, “Send me the numbers.” So you can look at that and see if it’s interesting. I don’t look at properties nearly as much I do anymore. I look at the numbers first and if the numbers makes sense, then I’ll go look at the property. Jane: Because it’s a business isn’t it? It’s the numbers that have to stack out first. Jane: Absolutely. Well look, you’ve had a long history with Australia. Can you tell us about your first visit here and some of the events and other activities you’ve had in Australia since then. Kim: Oh my gosh, there’s so many. I do remember with my very very first trip and I was in Melbourne and I was in Sydney we were doing events and I think what I love the most is the people, your sense of humour. We’ve become way too serious here in the U.S. and everything is so politically correct it’s scary. It’s very refreshing and your lifestyle is wonderful. The quality of life is fantastic and just the whole atmosphere and environment is so inviting it was very hard to leave. It was very hard to leave. I was there this year and it’s pretty hard to leave every time I come over. Jane: Well, maybe we can tempt you back with your friends and this new program that you have. Kim: Yeah, the four of us are getting together next week. We’re going to go spend a couple of days at a nice little spa up north in a place called Sedona and we’re going to brainstorm for 2-1/2 days and we’ve been working on this for a little while now, so we’re going to come up with something just figuring out what it is that women really want and that will actually make the biggest and quickest positive impact in a woman’s life. Of course, men can do it too, but we’ll be focusing on women, but men can do it too. Jane: Well, Kim, you are a self-made woman. You are completely inspiring and you’ve inspired me and I’m sure many of our audience today. Thank you so much for your generosity and thank you for joining us on Your Property Success Podcast. Kim: Thank you for your generosity and thank you for teaching people because this is what’s needed today more than ever, so I applaud you greatly. Thank you. John: Wow! That was great. Jane: I know. I’ve got so many notes here. Oh my gosh, she was awesome wasn’t she? So generous with her information that she shared. John: Yeah, absolutely. It’s interesting isn’t it that we don’t learn about finances in school and it’s only be reading books like Rich Dad, Poor Dad and doing that journey of self-education that you become financially literate. Jane: She made another really great point as well which is we don’t have a basis of financial knowledge that we take from school but we also wander around for a while without knowing what our true “why” is as well, what we want to do and what direction we want to go in and she said, “At your core, you need to work out what is most meaningful for you.” And for her it was always freedom and she knew she was never going to work for people. John: Didn’t want to be told what to do. Fair enough. Jane: Yeah. Which is great. I can understand that completely. But that kind of connection of getting a job and just going through the motions because everyone else does it because we don’t know there’s an alternative because we haven’t been educated or shown that way. We may not have all come from a family of entrepreneurs or property investors, so you kind of go along the path that’s well-trodden that you think is right and you haven’t ever asked yourself if it’s right for you. Jane: So that whole self-reflection thing I think is a really important point because we cold skim over that and get to straight to stats and exciting tips and things but the reality comes back to that foundation because you may not want to be a millionaire. You may just want to be treated yourself and live on a commune somewhere on $100 a month and enjoy life and contribute that way, so it’s around what’s true for you. John: And it’s also isn’t it when sometimes it does get hard and we often start – or we do start the suburb workshops this way as when the hard times come and it seems like you’re not getting anywhere, it’s going back to that why you’re doing it and having that concrete foundation is really helpful isn’t it? Jane: Absolutely. I love the fact that she came back to that and really started with that because I think a lot of education we see people jump straight into the detail and the reality is some people get into the detail they’re always wondering, “Why doesn’t it work me?” And it’s because it’s not really connected to what their true “why” is – what the meaning of their life is, so great, great point. But she shared some really interesting stats as well about women and finances particularly in America and I’m sure a lot of these could be replicated in Australia and the interesting thing is that it’s not just about female money management or female financial security because as males as well, there’s a responsibility to family to make sure that they are well looked after when men move on. Remember when she mentioned of all of those women in poverty, 3 out of 4 them weren’t in poverty but when their husband was alive and a lot of the financial security that the husband and wife had actually goes in that final illness for the husband, the wife looking after the husband and the wife is left destitute. I think there are a lot of messages for us and our families in responsibility and educating not just females or males but the kids as well, that financial responsibility and understanding it, so amazing. But you know what I really loved about this and I think it’s the myth of Rich Dad, Poor Dad is that Robert and Kim got together before either of them were rich, living on people’s couches and doing it tough and launching their very first book from a car wash.
John: Yeah. And I didn’t know that the board game actually came before the book. Jane: Because they love games. John: Yeah and the book was just virtually just a bit of the brochure for the book going ___. That story about the car wash, how good was that and to have the Amway guy come along and buy all those copies of the book and have that network marketing kind of ground swell of people buying the book, it was a good break for them that, gee, they deserve it didn’t they? Jane: I think in Australia, you’re considered a best-selling author if you sell 5,000 books and some people self-publish and buy the 5,000 themselves and send them out and have the best-selling author tab straight away put on their book but in their case they’ve sold 30 million books. I don’t even know what the price is for that, but that’s just – how many lives has that changed? John: She also had some good tips Jane there at the end that she talked about staying close to areas that you know and you can research and if problems happen you can get there quickly. And also, as we’ve heard throughout from Episode 2 onwards basically, the drive around the neighbourhood, talk to people, and talk to the shopkeepers. Jane: Yeah, get to know the place and get to know the typical person. We call it demographics but we do a high level version of that on the census data but just getting in and being part of that community and finding out a bit about what’s happening in the area and what’s the good side of the street and where’s the golden triangle of where the high price properties are and where do you not go after dark and the research, having the foundations right. It doesn’t matter if you’re in America or in Australia, the foundation is still the same. Jane: Well John, another huge episode with a huge guest and lots of takeaways for everybody. John: And now, once more into the frame. Jane: Hi Karen, we can hear you. John: Good. Is somebody washing up in the background there. John: No. You’re all good. Jane: No, it’s fine. So Karen, are you ready to play Suburbs Against the Clock? Karen: I’d say I’m pumped. Jane: Now tell me, what city are you playing for? Karen: Kingswood, Castle Hill, Baulkham Hill, Blacktown, Rouse Hill. Karen: Terrey Hills, The Ponds. John: She got it. Yeah. Jane: Yay! See how easy was that? I bet your people are kicking themselves now Karen. Well done. Well done. Congratulations. You have an annual subscription to Your Property Success Club which we’ll ger you details and give you access to but good on for you for fronting up and having a go. John: Good on you Karen. Jane: It’s the only suburb quiz John. John: …And perhaps the world, we should actually ___ that. Simply email, support@yourpropertysuccess.com.au and use the subject line Suburbs Against the Clock and you can also give us some suggestions for future questions. Jane: Because we seem to be running out. Jane: Well John, that’s it for today. A huge thank you to today’s amazing guest, Kim Kiyosaki. She was just so very generous with her time and information. And if you would like instant access to the transcript of this episode plus get access to some free property training we have for our community and all of the show notes and links to everything mentioned in the show including Kim’s books, the Rich Dad, Poor Dad book, some short videos that we’ve recorded with Kim taken from the podcast. Speaking of cash flow, we also have our free three-part video series and video two covers the debate about cash flow vs capital growth in Australia. John: Yup, always a hot topic. Jane: But as you can see in video 2, I say you have both. 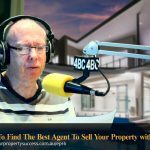 So, free property investment guides and courses and a lot lot more, simply go to yourpropertysuccess.com.au/ep12. That’s your property success dot com dot A-U, E for echo, P for papa and the number 1, 2. So, that’s it for today from us. Stay safe and here’s to your property success.